Every time I visit An Trach Market I am greeted by many happy vendors looking to sell fresh produce. 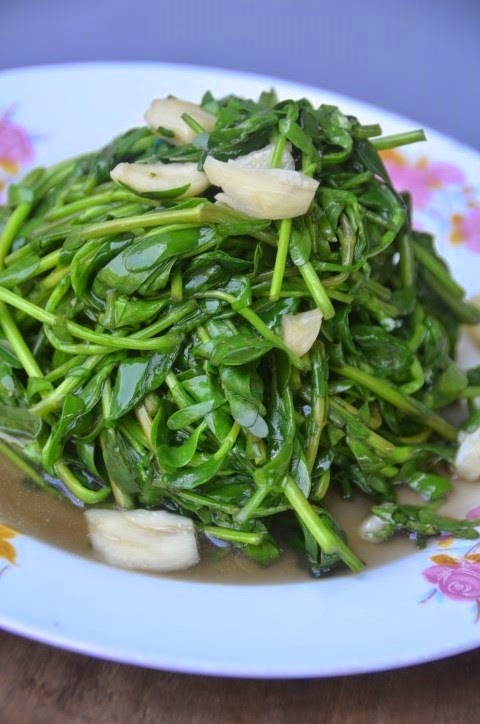 I spotted Vietnamese rau dang bien which translates directly to ocean bitter herb. 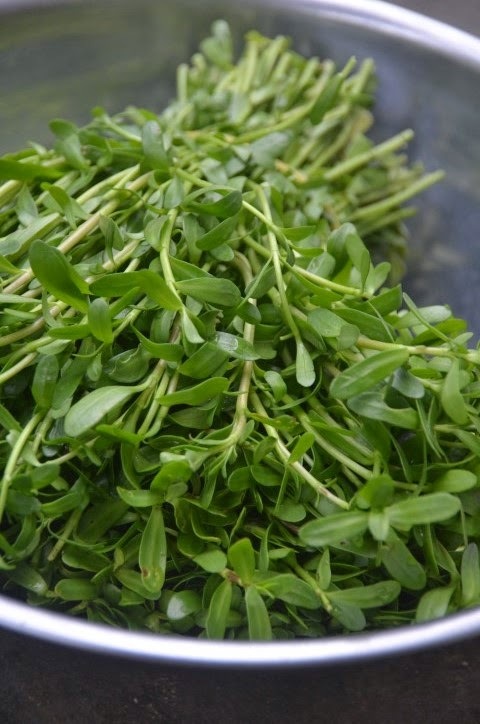 I still have not encountered a reference for these herbs or vegetables in English. There was only one bunch left at the market and it looked fresh and tender. Once home I washed it, drained off the water and used half of the bunch for a quick stir fry in garlic and oil for lunch. 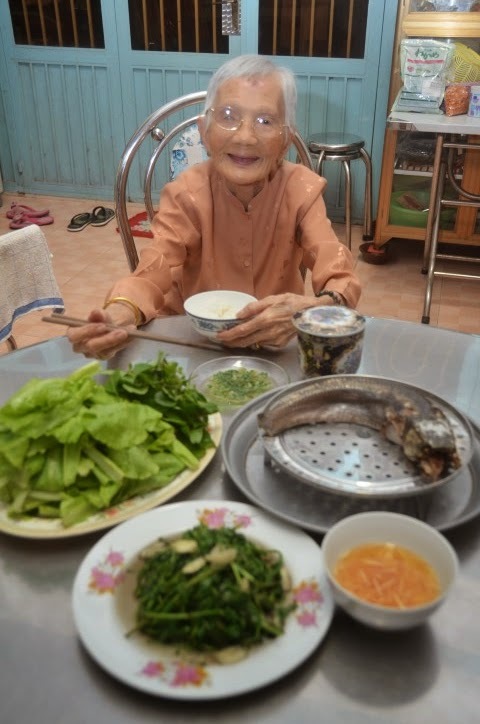 My uncle, grandmother and I ate this along with the steamed snakehead fish (or ca loc in Vietnamese), a platter of fresh herbs and vegetables with 3 different dipping sauces (one type for each of us). My uncle and I agreed that sometimes the best foods are the ones that cooked simply and quickly. Ah Ma said she loves this lunch. 1) Heat a pan or wok over high heat. 2) Add oil once the pan or wok is hot. 3) Add garlic. Saute about 30 seconds to a minute. 4) Add bitter herb. Saute about 2 minutes or until the stems and leaves are wilted. 5) Season with fish sauce and sugar. Saute for another 30 seconds and remove from heat. *You may wash any left over vegetables, drain off the water and store in a clean bag in the refrigerator. They can be kept fresh for up to 2 days. *As with any of the stir fried dishes you may add meat or seafood. You may add them after step 3. Once the meat or seafood is cooked you may remove them and return them at the end of step 4.